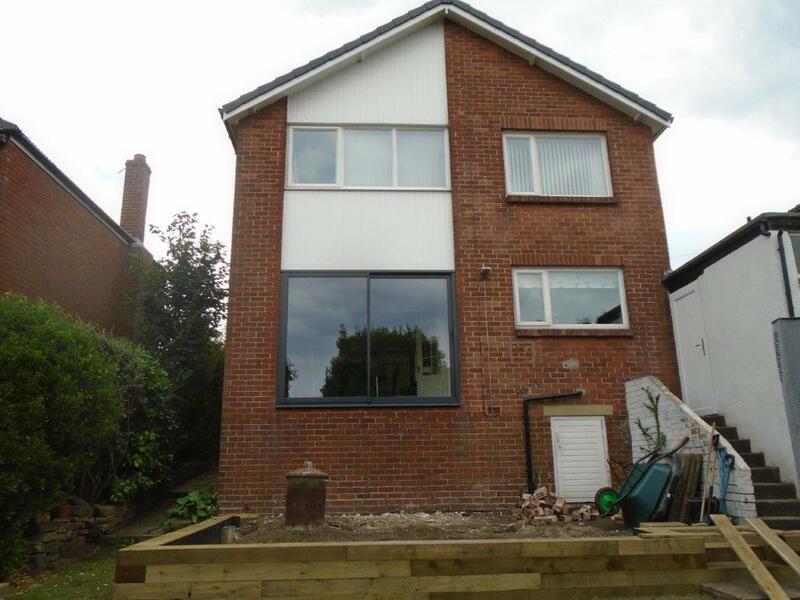 Clear View recently manufactured and installed two aluminium windows and a three pane bi-folding door at a home in Selby. Whilst most doors and windows we manufacture are for the main house as part of a conservatory, this scenario saw us create doors and windows for something a bit extra special; a brand new garden room at the rear of his property. The customer wanted to maximise the natural light in his new garden property whilst also retaining style, quality and visual appeal. 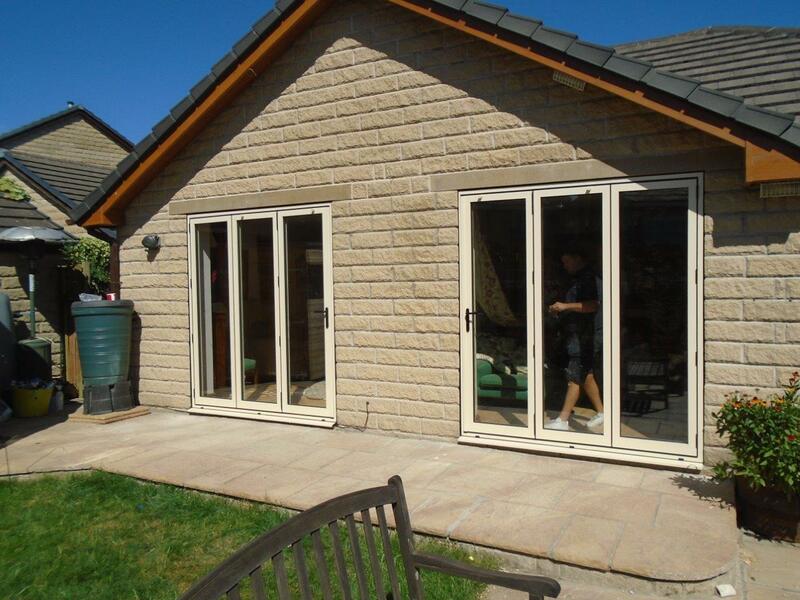 This made bi-folding doors, known to provide higher levels of natural light, a natural and preferred option. 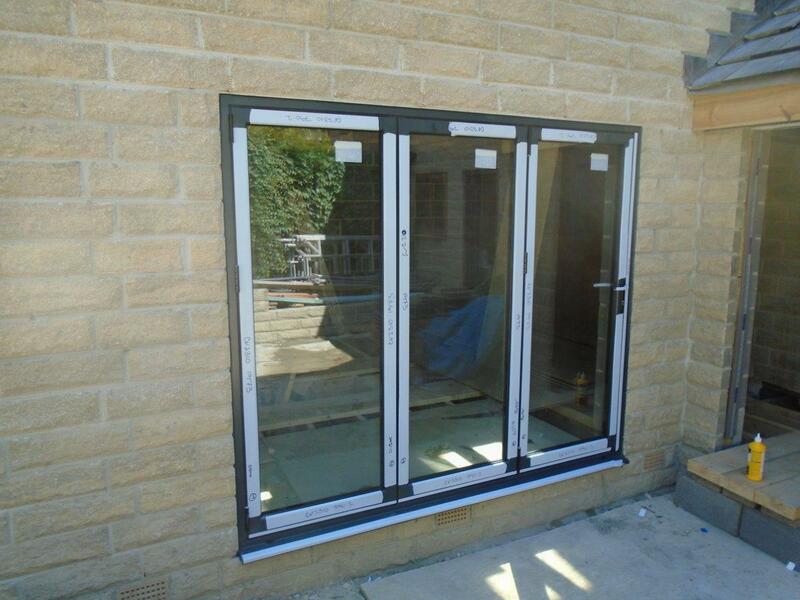 Clear View were asked to provide one bi-folding door to the following specification and two smaller aluminium windows. The Aluminium bi-folding door meets the following spec: AluK GB BSF70 OUT Frame all around Standard Frame: 2400x1900mm – this has a 150mm cill. The windows specification is as follows: Aluminium window specs: AluK GB 58BW / 58BD Residential / ST Frame: 1200x900mm and AluK GB 58BW / 58BD Residential / ST Frame: 600x900mm. To maximise both the light and provide the high quality additional benefits such as the regulation of the internal temperature, both the windows and doors come with the very best glazing. High efficiency glass is used on the bi-fold door (To be 4mm toughened outer, 20mm argon filled cavity, 4mm toughened low-e inner) and 4mm float outer, 20mm argon filled cavity, and 4mm float low-e inner for the windows. With large amounts of glass on show, it is vitally important that security is not compromised for the Garden room. Our doors come with Anti-Bump, Anti-Pick, Snap Secure and Kitemarked high security locks as standard to ensure that items locked inside have the ultimate protection. This was to the delight of the owner who has big plans for his new zone. This is an example of how Clear View provide a tailored service for each an every client. We worked closely with the customer to ensure his needs and expectations were managed and met and this allowed him to design a space he can uses for correct application. If you are considering building a new conservatory, a garden room or just something a bit special and require aluminium windows and doors, please speak to us today. We currently have great packages available and they do not cost as much as you think. To speak to one of our team, please call 0800 1357167.